We opened our doors on October 3, 2006, aspiring to be an aesthetically pleasing asset to the community. 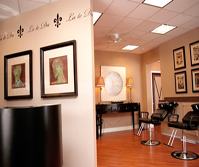 The atmosphere at Salon La te Da is elegant and sophisticated, yet warm and welcoming. Our staff will assure your comfort with a cup of soothing coffee or tea, refreshing soda or purified water. Relax. 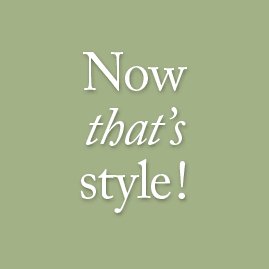 There are enough stylists to meet your needs without overwhelming you. Our staff is educated, professional, stylish and friendly. We believe that communication is the key to achieving the look and style you desire. We are a staff of friends with the utmost resect for each other and our clients. Collectively we want to make you smile and return to us. Bruce is a well-known master hair stylist, specializing in the latest cuts and color techniques. He and the entire La te Da team are committed to excellence, education and helping you to find, shape and maintain the style that suits you best. Neill is an interior designer who works extensively in the Pittsburgh, Sewickley and Ligonier areas. Committed to connecting you with the finest things in life, he searches high and low to find the perfect accessories to accent your style.